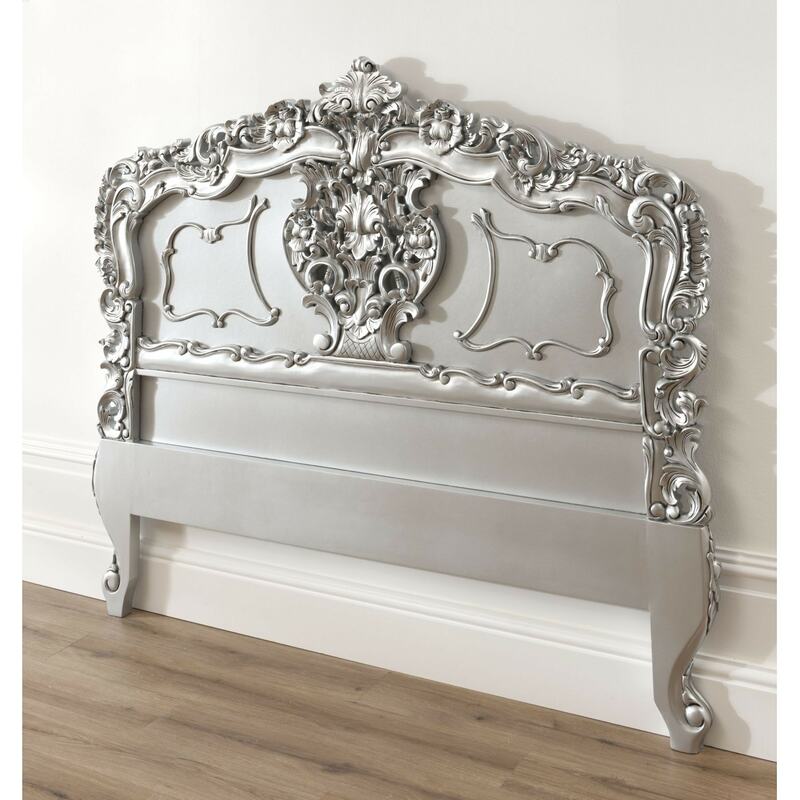 This marvelous antique French headboard is a fantastic addition to our antique and shabby chic furniture. Hand carved in real mahogany and finished in silver. A really good alternative to buying a complete bed frame where an existing divan bed needs to be retained. Please note that this item is supplied without fixings.